1. Unpack the archive containing a module and copy its contents to the root folder of the website on your server. 2. 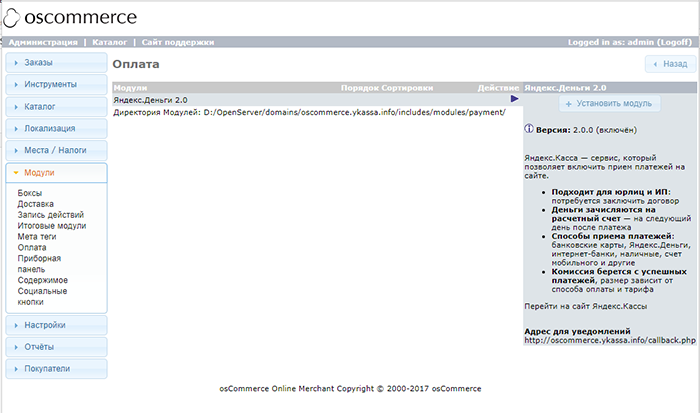 Select Modules in the website's dashboard (on the left), then Payment and click Install module. 3. 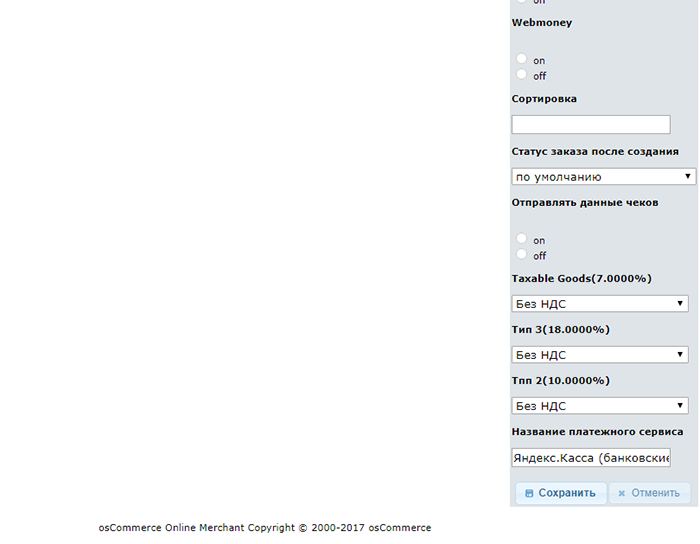 Select Yandex.Money 2.0 from the list, then click Install module again. 4. The module is installed. Now click Edit. 5. Enter shopId and Secret key in the following menu. 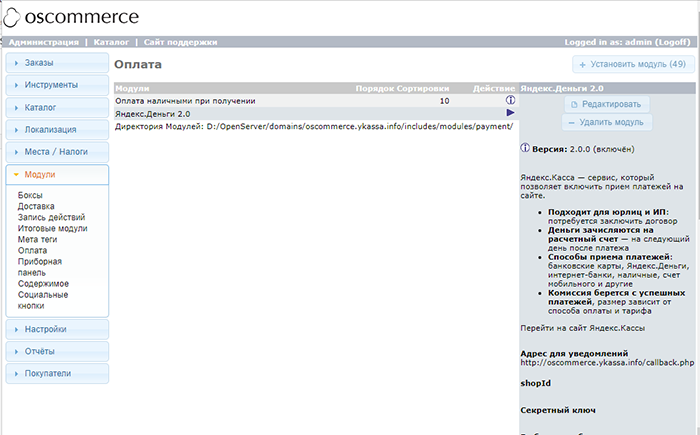 off — on the Yandex.Checkout's side (view in Demo store). 7. 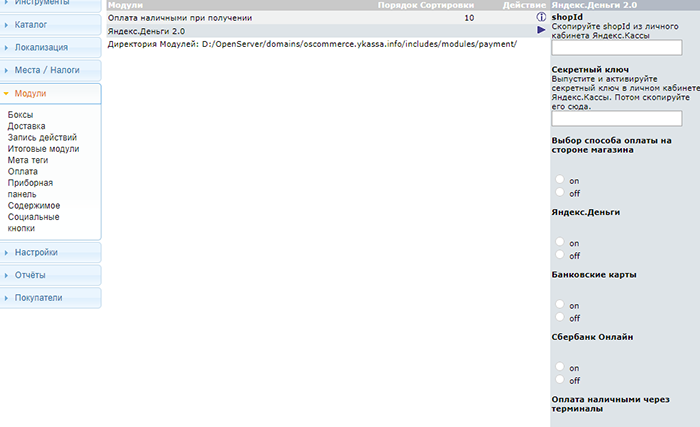 If you selected payments on your website, indicate which payment methods you need to accept payments. 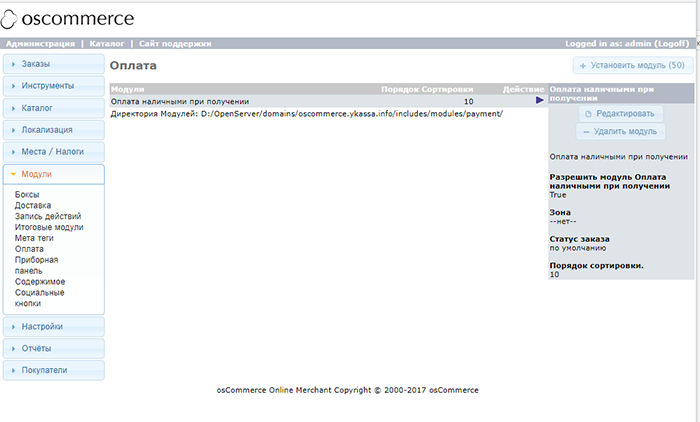 Indicate the VAT rate to be specified in the receipt: the rates in your store will have to be compared against the Yandex.Checkout rates. 9. Click Save and test your payment acceptance.